Well, that’s it for another year! I hope yours went as well as you hoped and you are getting a little time for reflection and planning. Work wise it’s been my busiest travel year yet. 7 short performing cruise contracts took me to – NZ, Japan, South Korea, Tonga, Tahiti, Fiji, New Caledonia & Vanuatu. The rest of the time … Corporate assignments in Hong Kong (2), Hawaii, Perth(4), Melbourne(4) Gold Coast (2), Hobart (2) and every other state and territory capital of Australia. Most of them were multiday conferences. Even got to do 3 assignments in Sydney, which was 2 more than last year. So, are you mapping out next year? Here is a great idea to help …..
1/ Instead of making Resolutions that you inevitably fail and then feel guilty about, how about setting a Theme for the coming year? A one word concept that encapsulates and resonates with you right through the year. These were some suggestions from a recent blog I read on this tool – Mindfulness, Enjoyment, Movement, Nourish. Next two issues you should see from me, an article on Productivity and an interview with a “Got Talent” grand finalist who shares his insider insights. Two projects are moving along nicely. 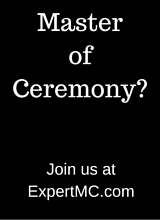 The one I can tell you about is the ExpertMC Toolkit. 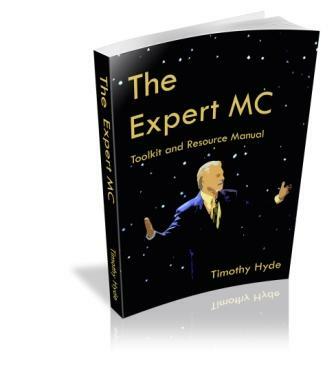 A huge collection of Advice, Articles, Jokes, Scripts & Content for people working in the corporate world as an MC. Perfect for magicians wanting to break into this field. I’m hoping this will be finished in the next week or two ready for a February Launch. Oh, this is good, very good. It’s On Again! ShowBiz BluePrint!